When we think of Building Information Modeling (BIM) our minds immediately go to construction. So it’s no surprise that when most companies think about staffing their BIM teams, hiring individuals within the industry seems to be the best choice. It is time to challenge that idea. With BIM enabling technology evolving at a swift pace, companies have to think outside the box to keep up with the ever-changing landscape. This involves hiring people from very different industries and backgrounds who can support the technology driving construction forward. Here is a snapshot of the top three hires for a successful BIM team. Hire Programmers to support your BIM team’s software needs. Today’s BIM enabling software requires customization. It is easy for teams to sit back and wait for software companies to create and implement tools for them, but at what cost? Using technology that is not optimized for your specific workflows can create inefficient work environments, where tasks that should take minutes can take hours. This is where a programmer provides immense value to a BIM team. Their knowledge of code and software customization allows them to tailor programs to your individual processes and needs, and truly allows for BIM workflows to be optimized. Having a programmer on staff not only allows for the initial customization, but gives you a team member who can constantly update the software as technology is upgraded, or as your teams’ workload changes requiring the software to dynamically change with it. Keep a pulse on tech trends by adding Gamers to your BIM staff. Today’s BIM enabling software functions a lot like gaming software. From virtual reality environments to 3D views in piping software, gamers are comfortable working in these virtual realms. Whether they’re routing complex mechanical rooms or more simplistic distribution systems, a gamer will have a comfort level navigating the 3D modeling software. Along with a knowledge of the software, these individuals bring with them information on the most up to date gaming software. Gaming software, including virtual reality technology, has proven to have immense value in the construction industry. With a gamer on staff, you have a pulse on the top technology trends that may impact the industry and can implement these tools into your workflows. Onboard Project Managers (PM’s), they are key drivers of change and efficiency within your BIM team. When staffing a BIM team, effective project managers can be the key to success. These individuals do not necessarily have to be from the construction industry but can be plucked from consumer markets, tech startups, or the manufacturing sector. Project managers are crucial when implementing new internal workflows, introducing and customizing new software, or interfacing with a client. Look for project managers who fit your business culture and have a successful track record of managing project teams and driving project schedules. These individuals will be key drivers of change and efficiency within your BIM team. The construction technology landscape is changing every day. As an industry, we must evolve with these changes, and this impacts the way in which we hire. Staffing your BIM teams with the most qualified individuals can help you stay at the forefront of the industry. Just don’t be surprised when the best talent comes from a background or industry that you would never expect. 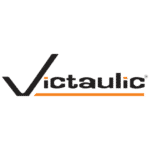 Learn more about the innovative software add-in developed by Victaulic’s Virtual Design and Construction department’s programmers at VictaulicSoftware.com.